He’s the captain planet of hip hop. Saving the world one rap song at a time. His name is JDove, and he’s a rapper who succinctly combines his passion for sustainability with his love for music. After leaving the States JDove decided to go the untraditional route, packed his bags, moved to London and travelled to Germany with one thing in mind, to perform. 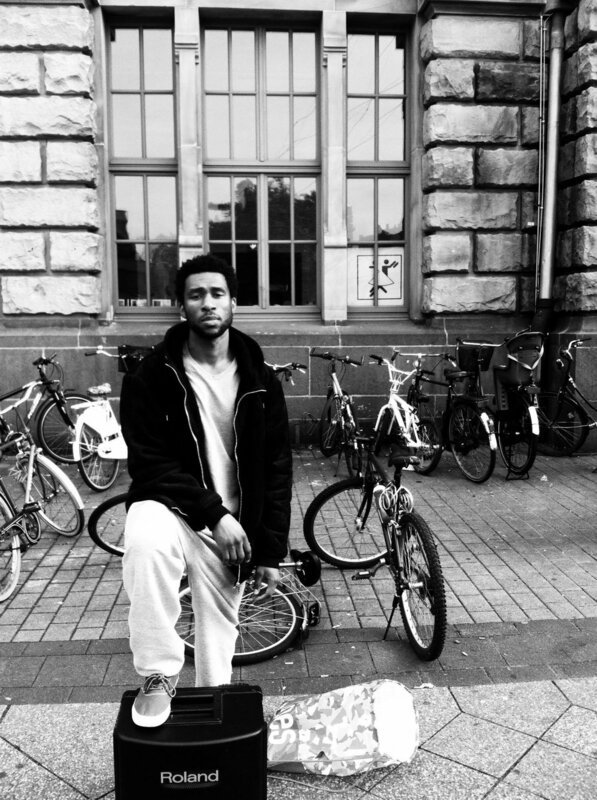 With no booking manager, JDove took his career into his own hands and created his own little tour of Europe by performing on the streets of Germany. This unique rapper is pushing the limits in hip hop and creating space for more creativity, spontaneity with his sheer willpower and a strong focus on being different. All he needs to do now if learn how to fly. Stimulate Your Soul chats to JDove about why his early music focused so much on religion, he’s passion for going green and why travelling is an art. Margaret Tra writes. You describe yourself as an environmental hip hop artist what do you mean by that? I'm an environmentalist and I'm a hip-hop artist, I felt why not combine both of my passions and create something totally different and unique. I'm not perfect and I could do better at being sustainable, but it comes with time. I dedicate my music career to being environmentally sustainable without sounding repetitive. What I talk about in music will be universal with a conscious approach but my actions will be green. Your music used to have a huge influence on religion in your beginning works, do you still have a strong focus on that at the moment? I grew up in a Christian household; I was forced to church at least twice a week. In church I got my start as an artist performing live for the first time in 2003, at the age of 16. As an adult art is my religion, but my mind is open enough to explore all religions for the sake of knowledge. At the moment I'm really into ancient Greek and Buddhism. (Laughs) Of course! And now you know he did music aside from saving the planet. I just can't fly yet, I think I need to have longer meditation sessions. What's really is interesting is that you made your own tour, and performed yourself in Europe. No booking managers or anything. How did it go? And do you think other artists' should do the same? I love this question because even to me the thought of it is crazy! But I've come to accept my so called "craziness" and enjoy the benefits. To take risk in general frightens most people, but what I've come to realise is that the bigger the dream the bigger the risk you have to take, and usually it takes a little longer to achieve and requires patience, but if you step out on faith, you then tap into your God given power. In the bible it talks about the story of Peter in the midst of a heavy storm stepping out of the boat and onto the water because he saw Jesus. The rest of the disciples called Peter crazy and tried to discourage him like modern society today. Peter only began to sink when he lost faith and took his eyes off of the vision. I'm not walking on water but I'm walking in Europe, and my clothes have been dry for the entire 5 months I've been here. I'm not suggesting other artist follow my steps, if they did it wouldn't work the same way, we're individuals, my question to other artist is are you dreaming or do you actually believe what you see? Originally from Detroit and now you're in London, how has the move shaped you as an artist? Well I've travelled around a lot in the States since graduating from high school in 2006. I'm humbled to say I've lived in four different states other than Michigan by the age 25, most recently Los Angeles, California before making my way to Europe. Travel is an art, it aids in creativity and wisdom, by travelling I've picked up languages, food, fashion you name it. I can cook you traditional German and English food now off the top of my head, It’s all a part of being a well rounded artist and that's what i strive to be while absorbing foreign cultures. What's next for me is tomorrow, but my actions today will allow me to have better tomorrow's in the near future as well as my family and supporters. I'm just enjoying the ride in optimistic fashion; as far as music is concerned, Paris. What Stimulates my Soul is meditation, knowledge, helping, red wine, cheese, pu'erh teas, organic food. In a nut shell art, peace & love. Want to listen to more? Click on the following links for further stimulation.